"Out with the Old and.."
In keeping with the Global Design Standards of LATICRETE, we have recently redesigned our 226 Thick Bed Mortar packaging bag. 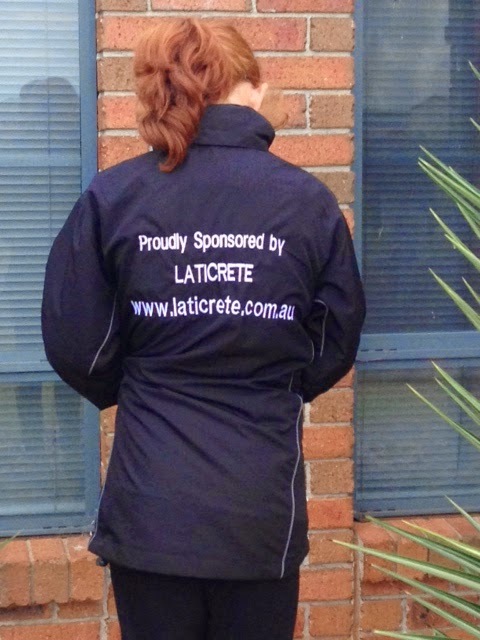 Spot our new 226 bag on a job site - take a photo and send it to marketing@laticrete.com.au and we will send you a LATICRETE t-shirt! 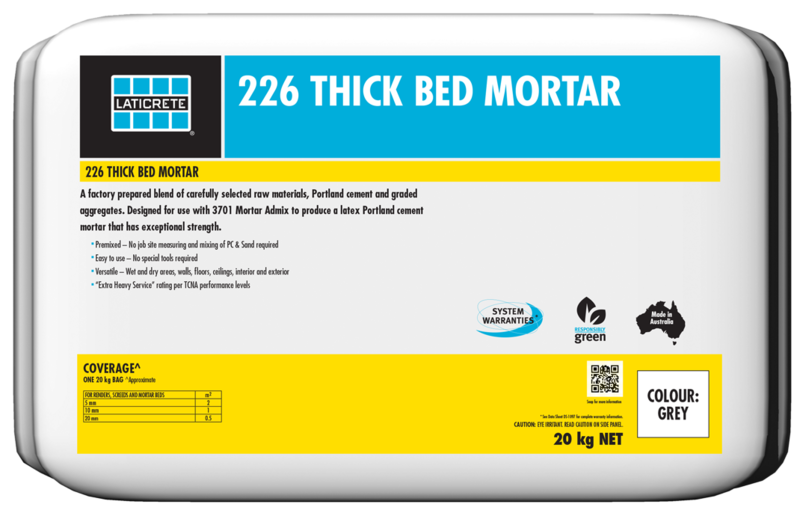 226 Thick Bed Mortar is a factory prepared blend of carefully selected raw materials, Portland cement and graded aggregates. 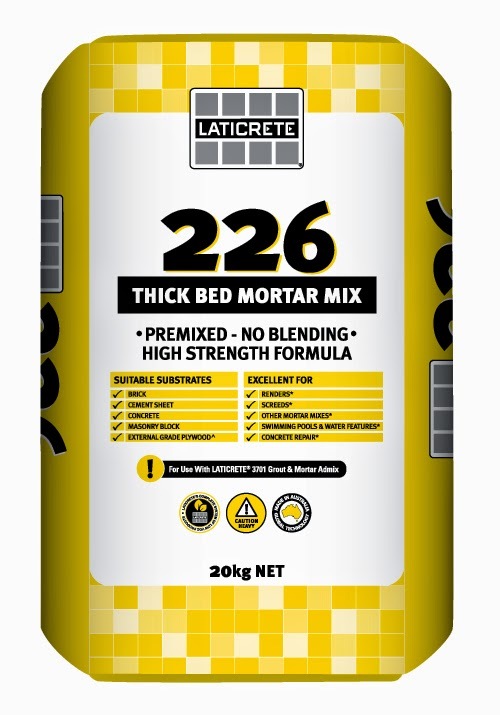 226 Thick Bed Mortar was designed for use with 3701 Mortar Admix to produce a latex Portland cement mortar that has exceptional strength. Click here for more product information. Can we interest your in a FREE sample? Contact your local LATICRETE Technical Sales Rep on 1800 331 012 or contact us here. 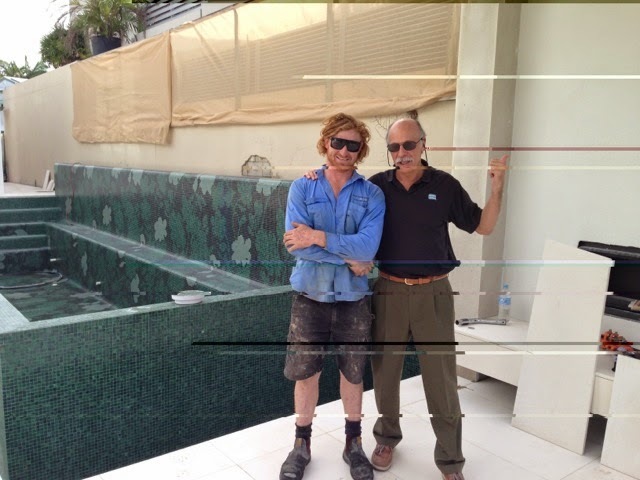 Nick Collett and Henry B Rothberg were recently on a job site with Jack Boyd from Jack Boyd Pools. We recently covered this same project on our blog - click here for all the details! LATICRETE® Underwater Submersion System is composed of time and job proven LATICRETE tile installation products which have been successfully installed around the world for over 50 years. It provides single source responsibility for these demanding, high performance applications. The system is resistant to chemicals, shock treatment, pH imbalance of water and has the flexibility and high strength to accommodate differential movement caused by moisture expansion and drying shrinkage. Click here for the LATICRETE Pools, Spas and Fountains System Brochure. For more information about LATICRETE products, technical support or FREE samples contact us by calling 1800 331 012 or email us here. 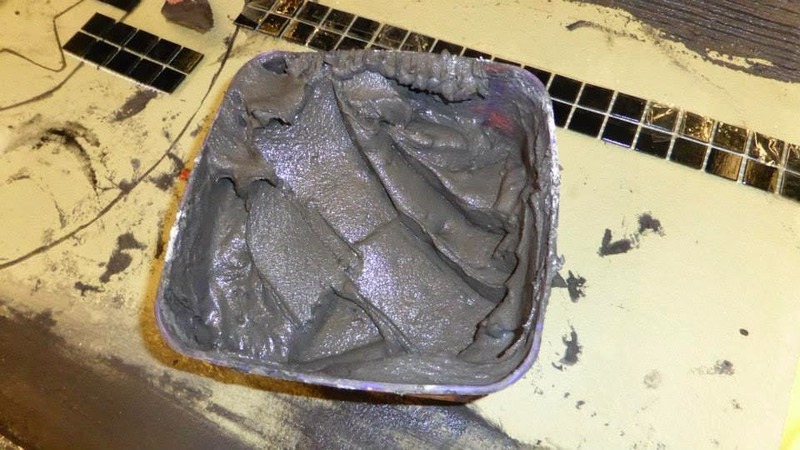 Did you Say - Free Bag of LATICRETE Adhesive? Claim yours with this Coupon! YES - At Tilers Express New Superstore! Tilers Express Superstore opens, Monday 7 July. Tilers Express exclusive offer - Claim your FREE bag of LATICRETE adhesive. "*ADHESIVES - Buy FIVE get ONE FREE." When you visit Tilers Express new Superstore in July. 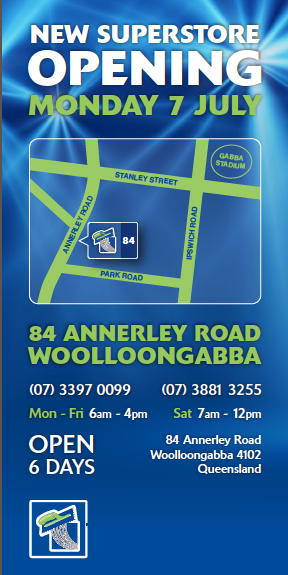 Address: 84 Annerley Road, Woolloongabba. *Conditions apply: Opening Special Expires 31st July 2014. Limited one per customer. Contact Tilers Express for full Terms and Conditions. "Award of Excellence" for category: "Best Manufacturer/Wholesaler Award"
There's No Questions About It! "What is it? It's called Stratamat or godsend depends on your perspective. I know from experience the first ime I ever saw it was the first time I ever needed it. And that is providence thanks Nick Collett. Henry Rothberg please give him a raise he's certainly worth it. :)." STRATA_MAT™ is the next generation high performance uncoupling membrane for tiled floors. Contact your local LATICRETE Technical Sales Rep by calling 1800 331 012 or contact us here for more information. LATICRETE is the Preferred Choice! 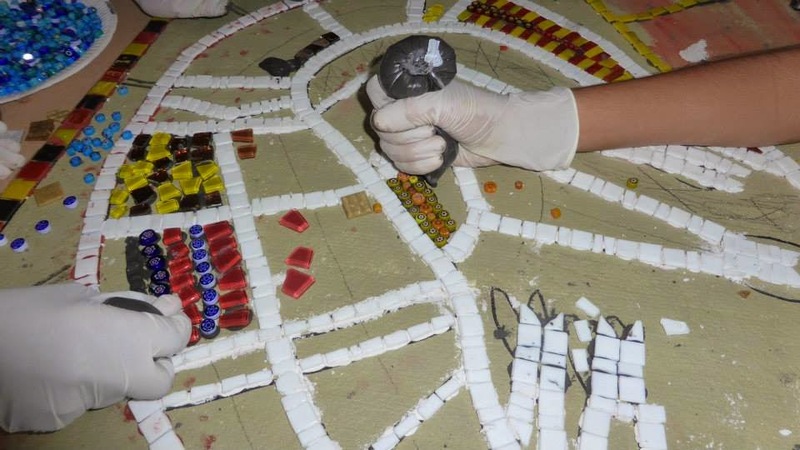 "Team OzMosaics are in Woorabinda working on a mural depicting the historic Taroom walk, which will be installed at the Memorial Wall site in Woorabinda. Local community members are assisting with the huge mosaic mural panels, plus two flags and 2 kangaroo murals. After completion, photos and the making of the mural will be featured on OzMosaics website. It's day 3 of the 20 day project and all is going very well and the children are very eager and helpful every day working on the mosaic project. 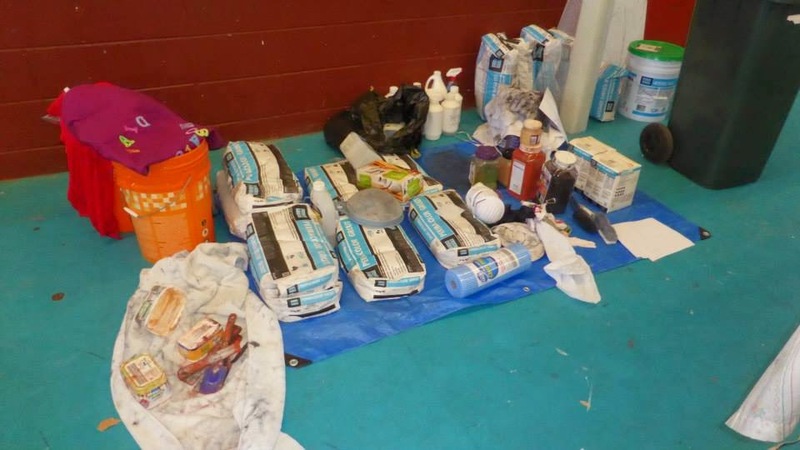 We are using Laticrete products for this important project and the Thinset #335, Hyrdoban, PermaColour grout, 4237 are all "doing their thing" and ensuring it's a long-lasting, professional project." For more information on this wonderful project go to OzMosaics Facebook page. Can we interest you in FREE LATICRETE samples? For information on LATICRETE products or technical assistance contact your local LATICRETE Technical Sales Rep by contacting us here or call 1800 331 012. Find out about SPECTRALOCK® PRO Grout - the "StainProof" Grout! Your local LATICRETE Technical Sales Rep, Alex Kralefski will demonstrate LATICRETE products which are designed to save you time, money and put $$$ back into your pocket! Chat to Alex on the day about LATICRETE Installation Systems for tile and stone applications, our available Systems Warranties. Enquire about your FREE Sample! Paul Rantall, our LATICRETE VIC Warehouse storemans', daughter Chloe plays for the U11 Darley Junior Football/Netball Club in Melbourne. Chloe was so excited to receive her very own personalised jacket. 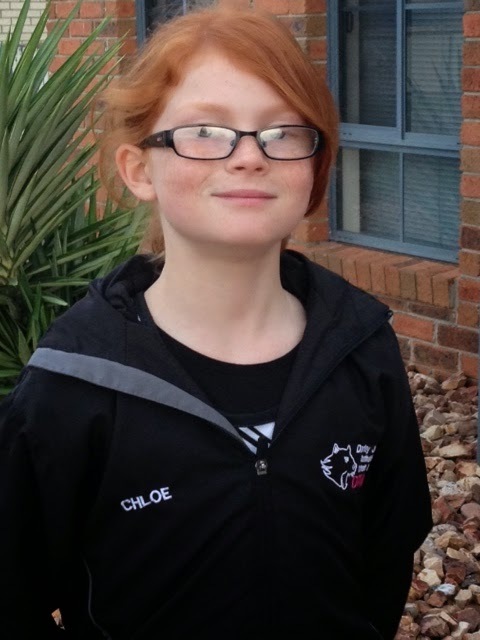 Chloe will be kept warm before and after her games in her awesome new jacket!. "Go Gorgeous Chloe Go - Team LATICRETE is behind you all the way!" While on the job site providing technical support, Nick Collett, LATICRETE Technical Sales Rep sent in the above photos of this project in Queen Street, Brisbane. 3701/290 - Click here for more information. 335 Rapid Premium Flexible Adhesive - Click here for more information. For technical support, advise, requests for FREE samples, demos or for more information contact your local LATICRETE Technical Sales Rep by calling 1800 331 012 or contact us here. Your local LATICRETE Technical Sales Rep, Alex Kralefski will be at Superb Tiles, in Mitcham, VIC on Friday, 27 June 2014. Come chat to Alex and find out how LATICRETE products can save you time, reduce your labour costs and ultimately put money back into your pocket! HYDRO BAN® - a single component, self curing liquid rubber polymer that forms a flexible, seamless waterproofing membrane which bonds to a wide variety of substrates. Click here for more information and to view an installation video. SPECTRALOCK® PRO Grout - is a stain-proof grout that is EASY to install. The perfect solution for an industry wide problem! Click here for more information and to view an installation video. Ultra X8 Polymer Fortified Flexible Adhesive - is a creamy and smooth to trowel thin-set adhesive for installing all types of tile and stone over a wide range of surfaces. Mixed with either water or for additional strength and performance with LATICRETE latex admixtures for installing porcelain, vitrified, ceramic and stone tiles on floors and walls in both internal and external areas. Contains a unique fibre reinforcing which adds workability, flexibility and reduces slump and shrinkage of the adhesive. Up to 40% higher performance than standard thin-set tile adhesives. Click here for more information. Attend the event and get a 15% LATICRETE Rebate on your next purchase of LATICRETE products - Make sure you see Alex on the day! *Conditions apply. For more information on LATICRETE products, technical support, FREE samples or to arrange a demo call 1800 331 012 or contact us here. 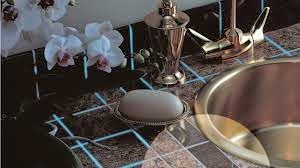 Amazing looking mosaics from Ezarri Australia! If you didn't manage to go to designEX in Sydney, or if you did go, but didn't get to see the completed chair at the Europe Imports booth, we are so excited to share this with you. 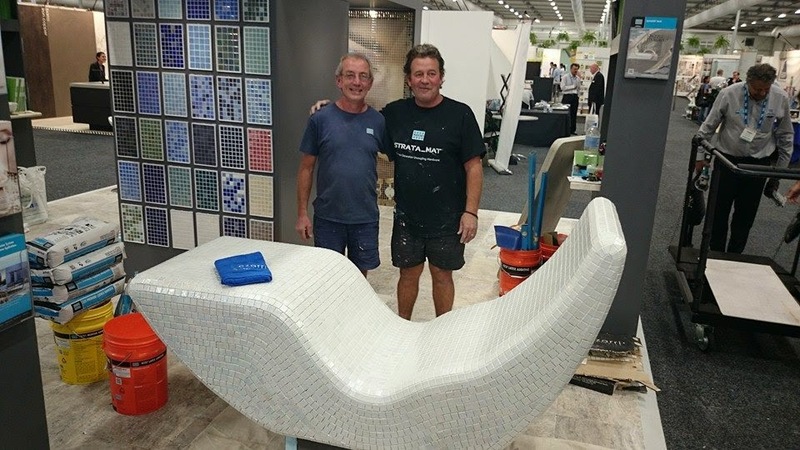 Chris Madden and Mario Misfud were contracted to mosaic this chair using mosaics from Europe Imports and used LATICRETE products - they did a sterling job wouldn't you agree?! Have you seen our MOSAIC ART COMPETITION?! Click here for all the details and get your entry into us quickly! Contact us for more information about LATICRETE products, request FREE samples, or arrange a demo by calling 1800 331 012 or click here to contact us. 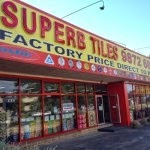 Tilers Express is opening a new Superstore, in Woolloongabba, QLD. The grand opening is on Monday, 7 July 2014. Keep your eyes peeled for their opening specials! Tilers Express stock LATICRETE materials which are maintenance free and are guaranteed to perform in all conditions. The LATICRETE range includes tile and stone adhesives, waterproofing membranes, stainless grouts, self levelling underlayments, sound control, uncoupling membrane and tile cleaners. Click here to view the range of our materials - not to mention our available Warranties for tile and stone installations. Contact us for more information about LATICRETE products, request FREE samples, arrange a demo or technical support by calling 1800 331 012 or email us here. 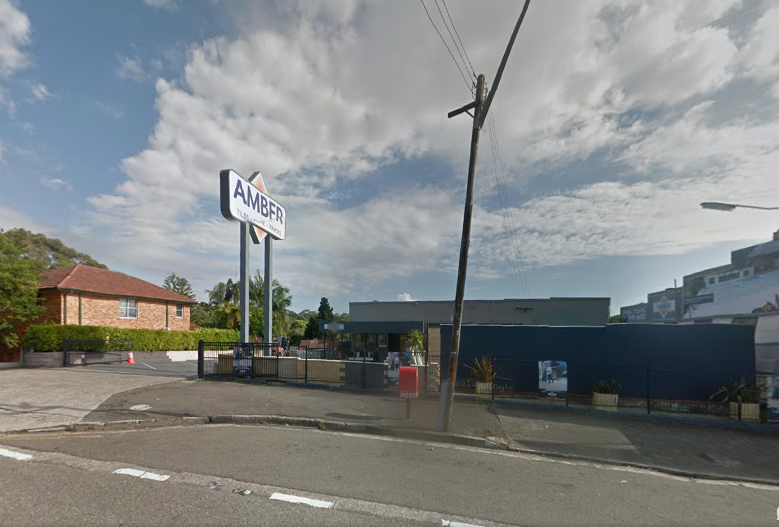 17/6/14 - Be at Amber Seaforth, NSW! HYDRO BAN® Waterproofing Membrane - click here for more information. SPECTRALOCK PRO Grout - click here for more information. Come chat to Glenn and find out about products that are designed to save you time and money! delivering superior performance. The LATICRETE Pool, Spa and Fountain Tiling System is resistant to pool chemicals,* shock treatment* and pH imbalance of water*, and has the flexibility and high strength to accommodate differential movement caused by moisture expansion and drying shrinkage. This great brochure also provides a list of the available LATICRETE Swimming Pool System Warranties. Click here to view/download this brochure. Contact us to obtain FREE samples, arrange a FREE demo, discuss your projects, our available System Warranties, by calling your local LATICRETE Technical Sales Rep on 1800 331 012 or email us here. LATICRETE offers a wide range of proven solutions for interior or exterior tile and stone installations in both residential and commercial and vertical applications. The LATICRETE System is designed to increase your productivity and increase your profits while protecting your name and reputation. Put your trust in the leader with over 50 years of experience – LATICRETE. LATICRETE® products are industry accepted, code approved and backed by 100% labour and materials system warranties, thereby assuring a successful installation each and every time. LATICRETE membranes, adhesives, grouts, and sealants are weather resistant and freeze/thaw stable. Click here for a LATICRETE Facade System Brochure. Click here for the LATICRETE Vertical Applications for Tile and Stone Brochure. Click here to view/download the LATICRETE Comprehensive Tile and Stone Installation System Warranties brochure. 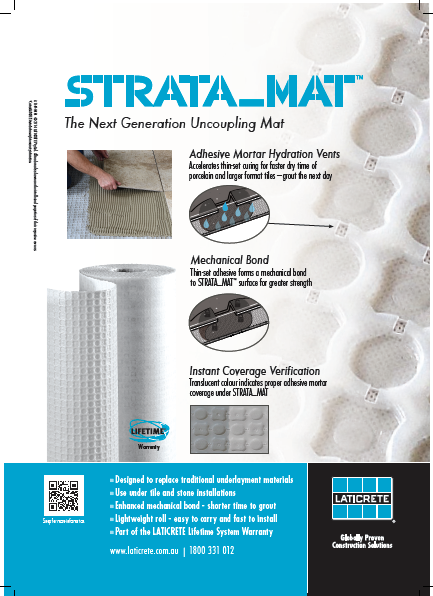 Click here to read what Fred Gray, LATICRETE Technical Service Manager told Pool+SPA about STRATA_MAT®. Click here to view an installation video and for more product information. Contact your local LATICRETE Technical Rep on 1800 331 012 or email us here for more info. Mosaic Mural Looks As Good As New! 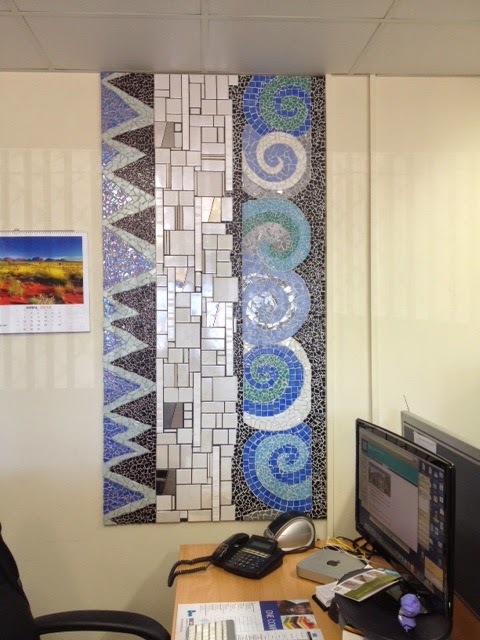 Two years down the line and this mosaic mural in our office still looks as good as new! The team members from LATICRETE Australia originally grouted this mosaic mural with SPECTRALOCK® PRO Grout and added DAZZLE™ to give it that extra bizazz! Wouldn't you agree that this mosaic mural still looks spectacular?! For more information on SPECTRALOCK PRO Grout, click here. 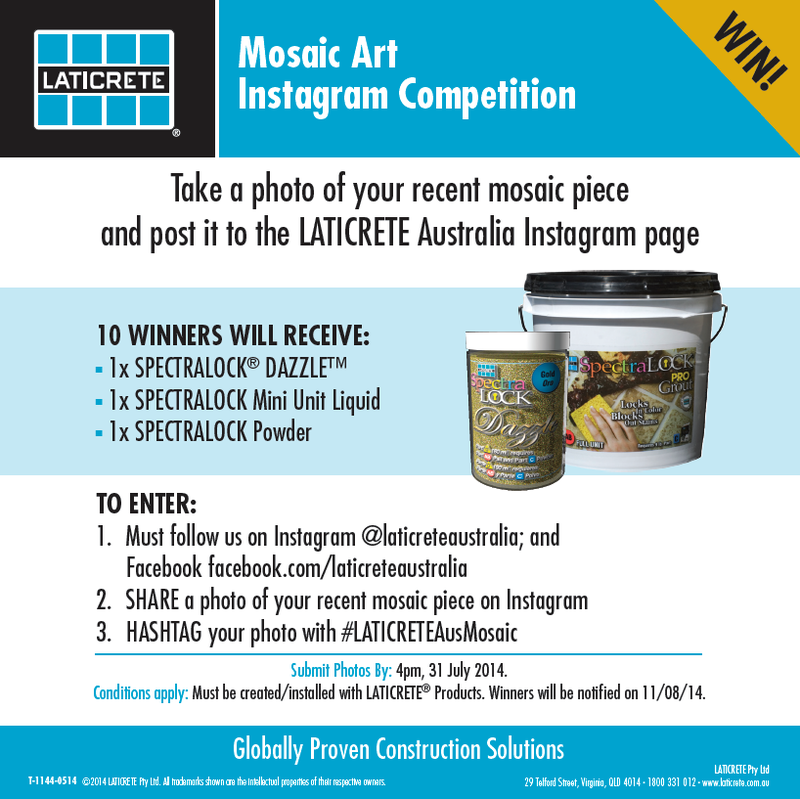 Have you seen or heard about our Mosaic Art Instagram Competition? Click here for all the details! Contact your LATICRETE Technical Sales Rep for more information or to arrange a product demo by calling 1800 331 012 or contact us here. 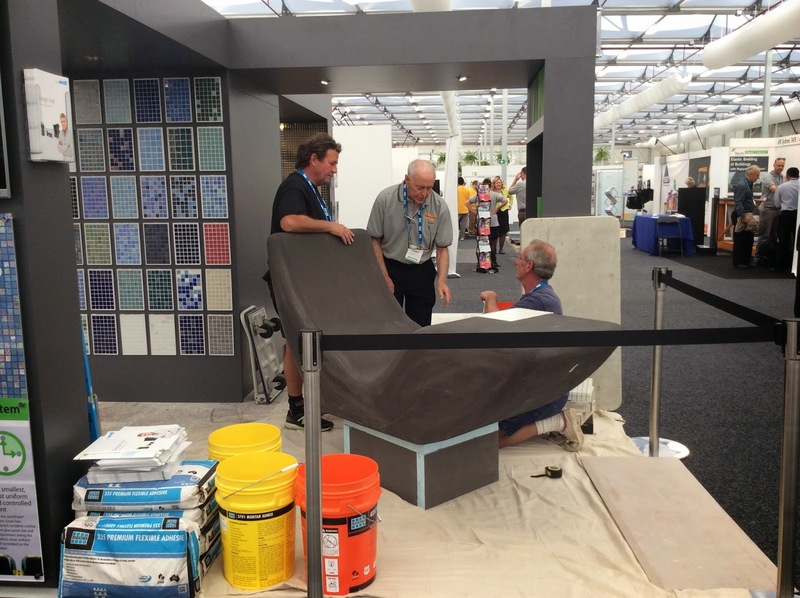 Murray Heazlewood from SEQ Tiling and Cladding at it again - another awesome 45m2 project with MVIS™ on the go! Masonry Veneer Mortar is a patented, versatile polymer fortified mortar designed specifically for the installation of adhered masonry veneer, stone and thin brick. A high performance mix provides maximum non-sag performance for vertical installations and also obtains maximum bond strength to the substrate and selected veneers. Click here for more information and to view an installation video. Contact your local LATICRETE Technical Sales Rep for more information, to arrange a demo or provide you with a FREE sample, by calling 1800 331 012 or email us here. We can't wait to see the the completed photos for this project! "And the Award Goes to - LATICRETE"! LATICRETE Australia obtained the Award of Excellence for the Category: Best Manufacturers/Wholesalers Product Award, for STRATA_MAT™. 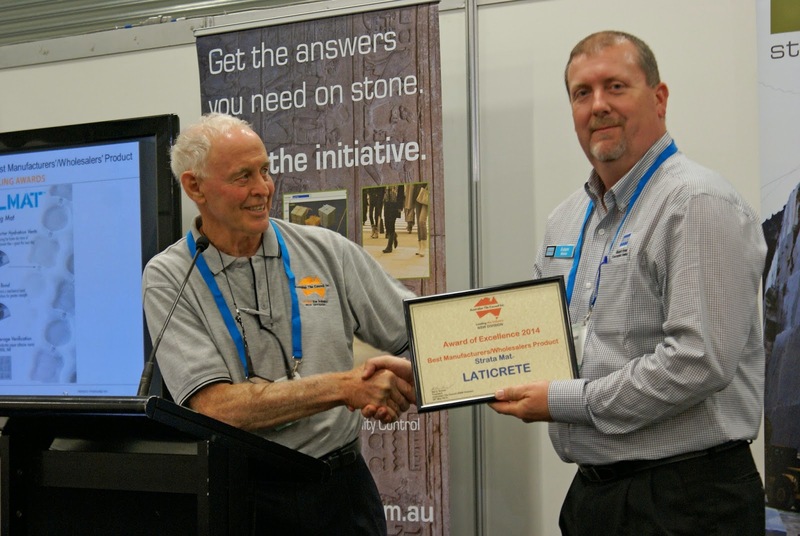 Barry Bulmer, President of the Australian Tile Council, NSW Division presented the award to Adam Marks, LATICRETE National Sales Manager recently at designEX. STRATA_MAT is a next generation high performance uncoupling mat for use under tile and stone installations for both residential and commercial applications. Designed to replace traditional underlayment materials. Engineered to allow safe, reliable installations of tile and stone over "problematic" surfaces such as wood, cracked concrete, post and pre tensioned concrete. The unique patent pending design of STRATA_MAT provides for an enhanced mechanical bond of the adhesive and provides for faster drying of the adhesive. This allows for faster installations and for shorter time to grout. Specifically designed for use with the appropriate adhesive for the tile or stone being installed, STRATA_MAT allows for the proper adhesive to be used with porcelain or large format tiles as well as moisture senstive stone and agglomerate stones. Contact your local LATICRETE Technical Sales Rep, by calling 1800 331 012 or click here to contact us to arrange a demo or to provide you with technical advice or support. 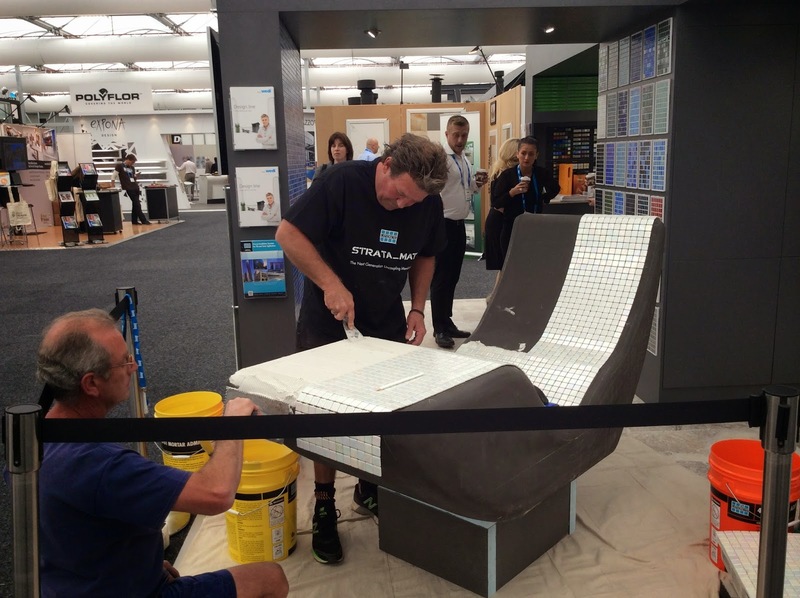 Just one of the LATICRETE products Alex will be demonstrating is: SPECTRALOCK® PRO Grout. This is a "StainProof" Grout, which is easy to maintain, cleans to the original colour, inhibits the growth of stain-causing mould and mildew in the grout joints with antimicrobial product protection. Click here for more information. Chat to Alex on the day about LATICRETE Installation Systems for tile and stone applications, our available Systems Warranties and on how to obtain a LATICRETE 15% Rebate off your next LATICRETE purchase! 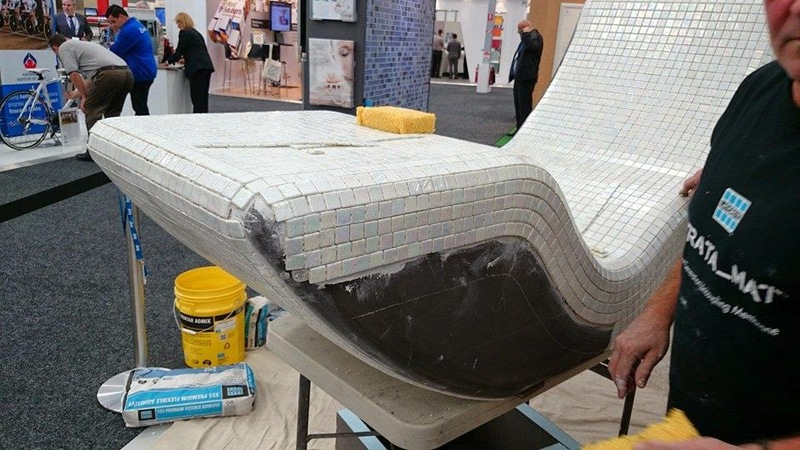 Have you used LATICRETE® Products on your mosaic project? If you have answered YES, then you MUST enter our Mosaic Art Competition before 4pm 31 July, 2014. Details on How To Enter and the Conditions are as above. For more information about LATICRETE products, technical support or to arrange a demo, call 1800 331 012 or email us here. REMINDER: You must us "Like" on Facebook and Follow us on Instagram.